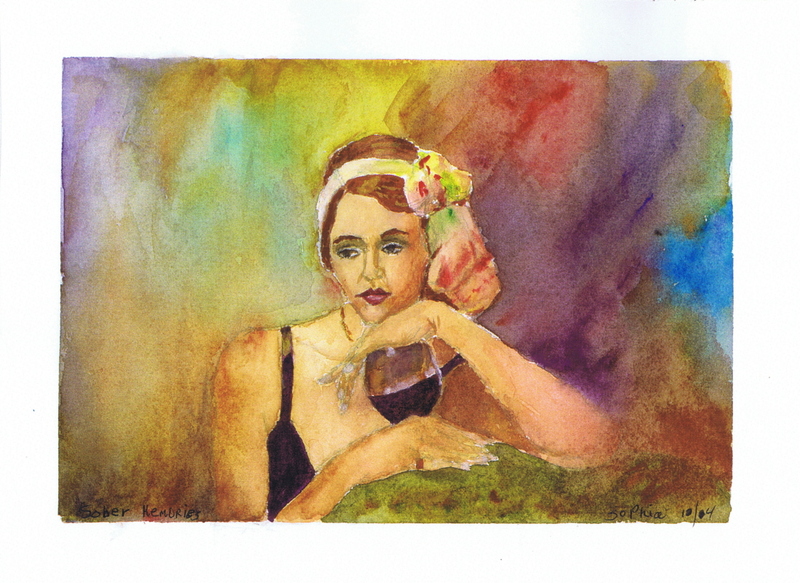 “Sober Memories” a watercolor painting by Sophia Ehrlich, October 2004. Over someone who’ll never love you like I do….like I do…. With one final look behind to say …. ain’t it a shame. I started writing this song in 2015, shelved it, forgot about it, and then worked on it more in 2018 after legendary Aretha Franklin passed in August 2018.